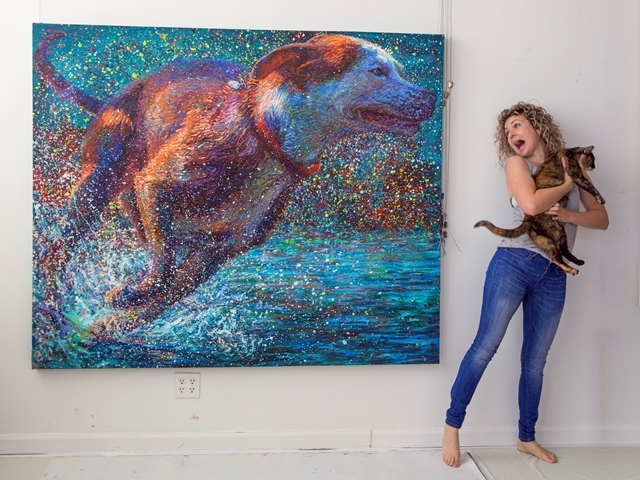 Please check out our new Iris Scott Video! 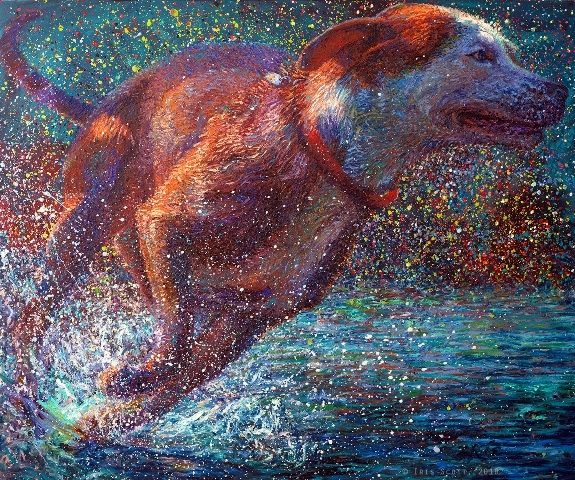 Finger painting is now fine art at the hands of New York based artist Iris Scott. Using her fingertips to strike multiple colors at a time she is like a pianist that understands piano is not to be played one note at a time. 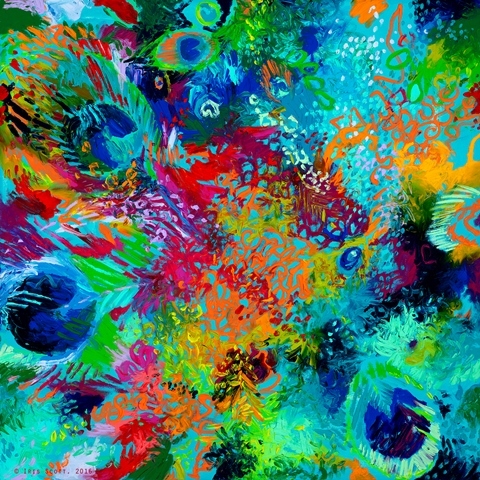 Iris Scott was classically trained in Florence, Italy and earned her BFA from Washington State University in 2006. 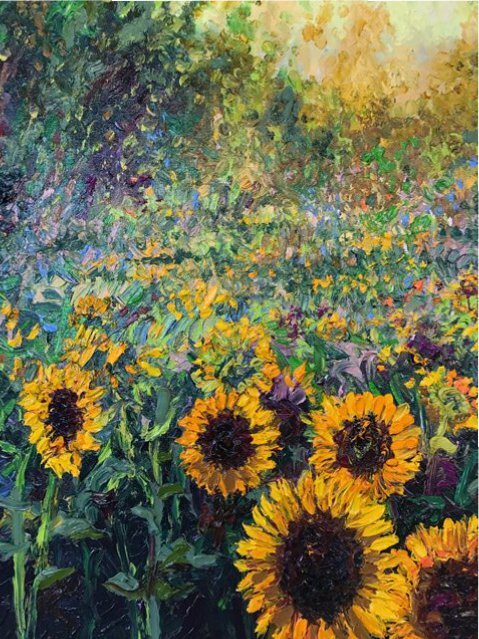 Iris began oil finger painting in 2009 when she left the States to live a year in Taiwan. By a stroke of lucky laziness one afternoon when it was too hot outside, Iris opted not to pause on her painting to go clean brushes. It was in this moment the technique was discovered. 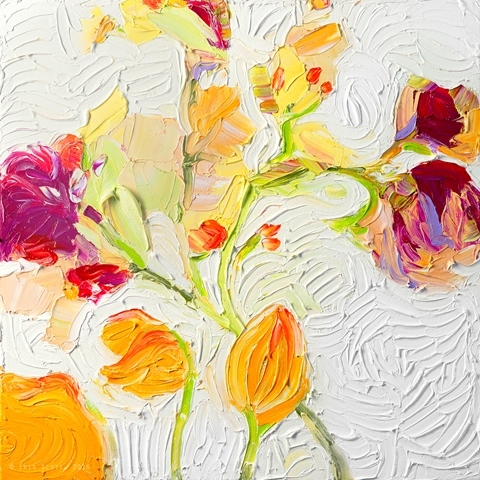 A few swipes of paint with her fingertips and Iris found a new impressionistic style. She has not used a brush since, and has enjoyed painting full time since 2010. 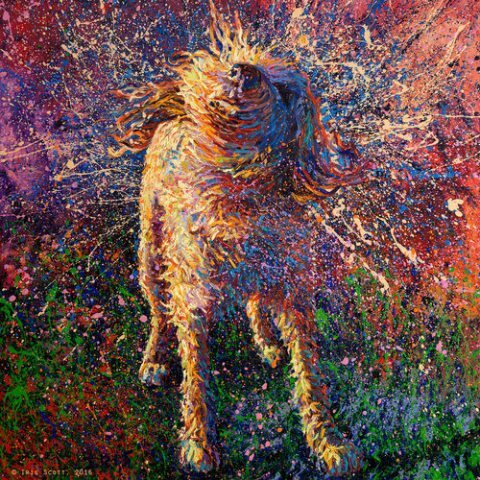 Please click here to visit Iris Scott’s artist page. Lona Hymas-Smith is a world renowned wood carver of songbirds, birds of prey, fish and insects. 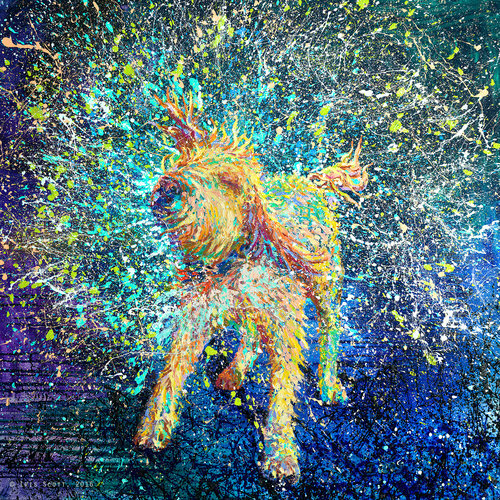 Enjoy this beautiful video of her work featured at Horizon Fine Art in Jackson Hole! 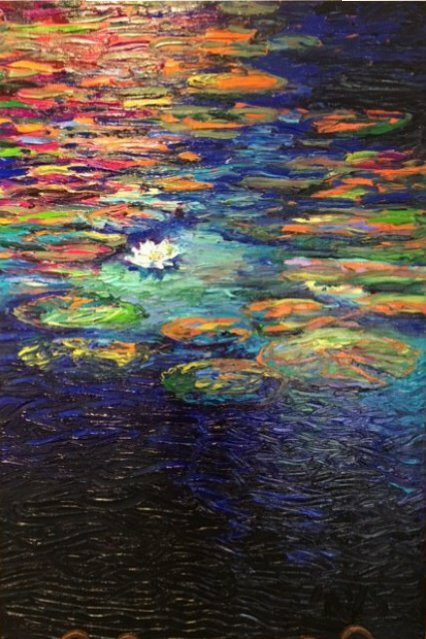 Click here to visit Lona’s Artist Page on our site. Horizon Fine Art Gallery in Jackson Hole, Wyoming is pleased as punch to announce the launch of our beautiful new web site! 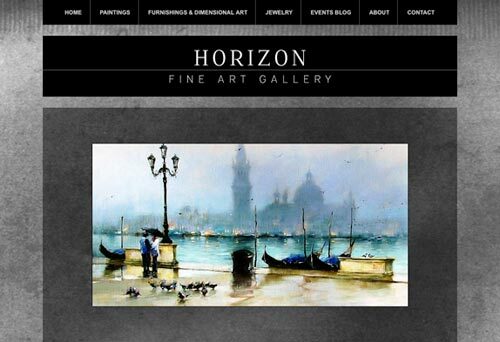 Horizon Fine Art Gallery's New Web Site! Check out our artist pages! 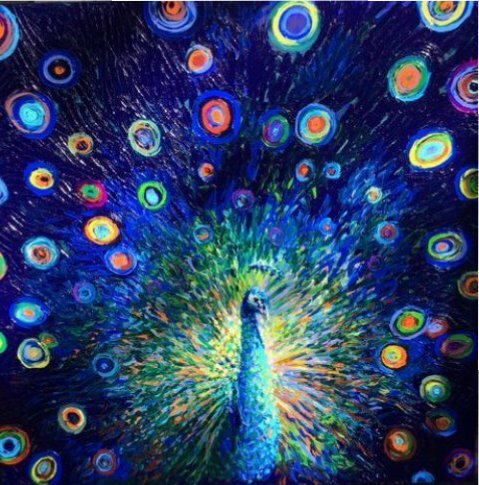 Paintings, Furnishings & Dimensional Art and Jewelry. 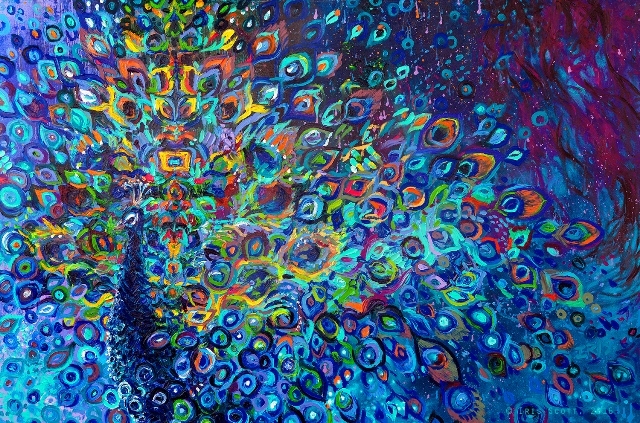 Each artist has a their own page with a beautiful slide show. 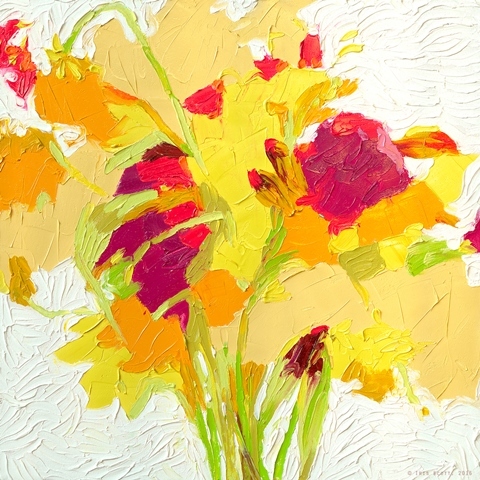 Go to the main listing, click on and artist and then click on a thumbnail image to get a larger view of their work. Click the “back” or “forward” arrows in the pictures to go to the next one. Visit this Events Blog page to see what’s new at the Gallery, and don’t forget to sign up for our Newsletter so you don’t miss an opening or other special event! You can sign up for the Newsletter in the sidebar on all pages (see? right over there >>> ) and please become our “Friend” on Facebook. There is a map to the gallery on our Contact page. Looking forward to seeing you soon in the Gallery!